CINCINNATI — FirstLight Home Care, a leading provider of non-medical home care, has released its annual client satisfaction survey results for 2018. The report found that the company’s national network of franchise locations earned an exceptional score in overall client satisfaction with an average rating of 4.7 stars out of 5. 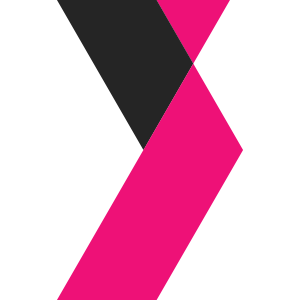 FirstLight has a proven commitment to client satisfaction. The company conducts live phone interviews with its current clients every quarter through independent third-party research firm Infosurv. The quarterly results are then rolled up into an annual client satisfaction star rating, which is based on a five-point scale. Consistent with FirstLight’s Culture of Care, Infosurv conducts these surveys to gather honest, unbiased feedback in specific areas, including quality of care, communication and responsiveness and overall satisfaction. Clients are also given the opportunity to provide feedback in areas where FirstLight excels, as well as areas where the company should improve. WACO, Texas — Neighborly®, the world’s largest franchisor of home service brands, celebrated another milestone year in 2018. In June, the company announced The Riverside Company’s sale of Neighborly to new private equity partner Harvest Partners, LP. Neighborly also completed two acquisitions, Real Property Management and Mosquito Joe. This brings the total number of service brands under the Neighborly umbrella to 20. 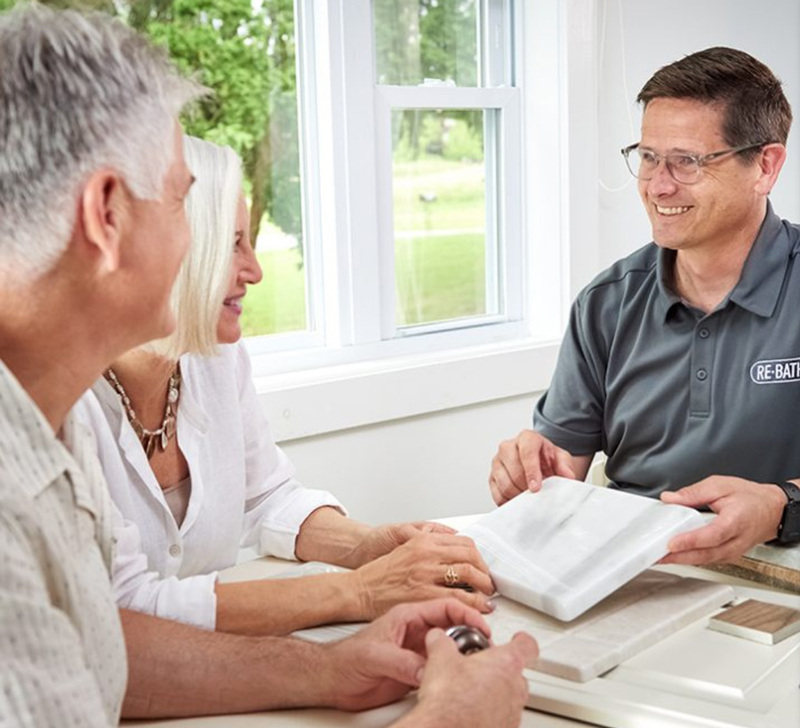 Neighborly grew to a total of nearly 3,600 franchisees across nine countries in 2018. The company sold a total of 325 new franchise units across its brands. In addition, the company’s annual systemwide sales reached a total of $2 billion. The launch of The Neighborly Project, an initiative to honor a veteran with complimentary home repair services. The introduction of GetNeighborly.com version 2.0, which updated the company’s website platform that provides a one stop shop for all consumers’ home service needs. Inclusion in top industry rankings, such as Entrepreneur magazine’s Franchise 500, Top Franchises for Veterans, Fastest Growing Franchises, Top Brands and Best Franchises for Any Budget; Military Times‘ Best for Vets; Franchise Gator‘s Top 100; Forbes America‘s Best and Worst Franchises to Buy; and Franchise Business Review‘s Top Franchise Opportunities. 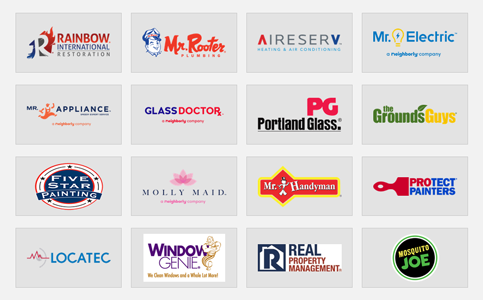 Neighborly is a holding company of 21 service brands, focused on repairing, maintaining and enhancing consumers’ homes and businesses. The company operates online platforms that connect consumers to service providers in their local communities that meet their rigorous standards as a franchisor across 14 service categories at www.getneighborly.com in the United States and www.getneighbourly.ca in Canada. The company was founded in 1981 as Dwyer Group and is based in Waco, Texas. More information about Neighborly/Neighbourly, and its franchise concepts, is available at www.NeighborlyBrands.com. CARROLLTON, Texas — FASTSIGNS International, Inc., franchisor of FASTSIGNS®, the leading sign, graphics and visual communications franchise, announced today its partnership with Click2Sell, an online platform created to simplify, automate, and personalize the process for sales professionals performing business-to-business sales. 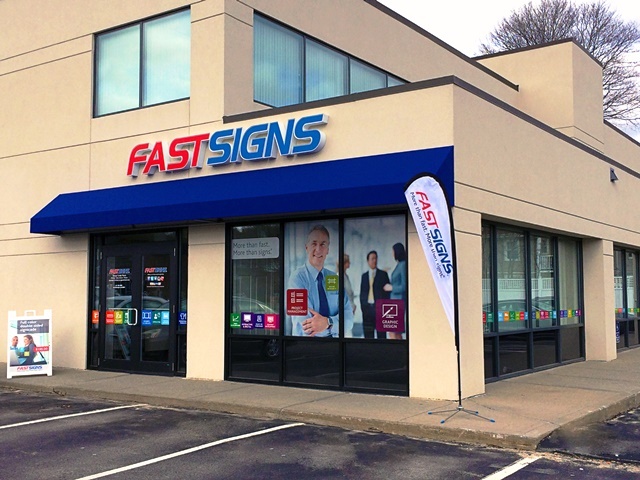 FASTSIGNS is known in the industry for equipping its franchisees with tools vital to securing the ongoing success of each individual location. In 2018, FASTSIGNS announced the launch of its partnership with 1HUDDLE, a workforce-training platform that converts unique training content into science-backed, quick-burst training games that are proven to accelerate workforce productivity. Additionally, FASTSIGNS announced the launch of a special incentive for first responders, including paramedics, emergency medical technicians, police officers, sheriffs, and firefighters, which includes a 50-percent reduction on the franchise fee — a savings of $23,750. As part of the International Franchise Association’s (IFA) VetFran program, FASTSIGNS also offers veterans this special incentive. FASTSIGNS is proud to be the only franchisor in its segment to offer a development incentive specifically to first responders and veterans. FASTSIGNS International, Inc. was ranked the #1 franchise opportunity in its category and 95 overall on Entrepreneur magazine’s 2019 Franchise 500®, the world’s first, best and most comprehensive franchise ranking. Acknowledged by entrepreneurs and franchisors as a top competitive tool of measurement, the Franchise 500® recognizes FASTSIGNS, the only sign, graphics, and visual communications franchise to be recognized in the top 100, for its exceptional performance in areas including financial strength and stability, growth rate and brand power. FASTSIGNS also has been recognized for its franchisee satisfaction by being named a World Class Franchise by the Franchise Research Institute for five consecutive years and has been ranked by Franchise Business Review as one of the “Best of the Best” for franchisee satisfaction for the last 10 years. 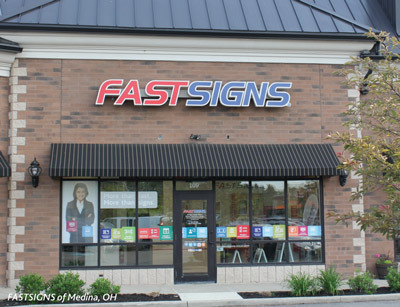 Additionally, FASTSIGNS also was named to Franchise Business Review’s “Innovative Franchises” list in 2017 and a “Best-in-Category” franchise by Franchise Business Review in 2018. The Canadian Franchise Association (CFA) recently recognized FASTSIGNS International, Inc. with a special six-year Franchisees’ Choice designation for its strong relationship with Canadian franchisees, as well as extensive franchisee training and support. DALLAS — AtWork Group, a rapidly growing national staffing franchise, announced today the opening of its new office in the greater Dallas, Texas area, further extending the company’s reach in the Dallas – Fort Worth metroplex. The franchise location is owned and operated by local entrepreneur Alex Berrabah and will offer staffing solutions to the Frisco, Plano, and Lewisville areas. “I care for my community to the very core of my being, and I look forward to connecting talented job seekers with the many businesses in our area that are driving our continued growth,” said Alex Berrabah. 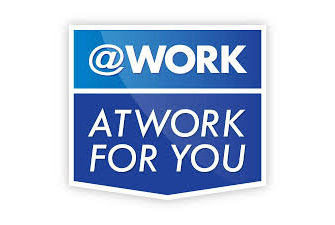 AtWork was recently ranked No. 363 in Entrepreneur Magazine’s Franchise 500® ranking and No. 106 in their Fastest Growing Franchises ranking. The company was also ranked No. 18 in the Franchise Times Fast & Serious list, in addition to receiving a Franchise Times Top 200+ ranking five years in a row. Staffing Industry Analysts (SIA) recognized AtWork as being one of the largest staffing companies based on revenues, as well as one of the fastest-growing staffing firms in the U.S. in 2018, and Inc. Magazine ranked AtWork on its Inc. 5000 annual list for the fifth consecutive year, placing the company at No. 3,643. CARROLLTON, Texas — FASTSIGNS International, Inc., franchisor of FASTSIGNS®, the leading sign, graphics and visual communications franchise, is actively recruiting franchise candidates to grow its co-brand and conversion program throughout the West Coast, including Phoenix, Tucson, Las Vegas, Southern California, and New Mexico. As part of its growth strategy, FASTSIGNS will exhibit at The NBM Show (booth #112) at the Phoenix Convention Center from Feb. 1-2, 2019. FASTSIGNS International, Inc. was ranked the #1 franchise opportunity in its category and 95 overall on Entrepreneur magazine’s 2019 Franchise 500®, the world’s first, best and most comprehensive franchise ranking. Acknowledged by entrepreneurs and franchisors as a top competitive tool of measurement, the Franchise 500® recognizes FASTSIGNS, the only sign, graphics, and visual communications franchise to be recognized in the top 100, for its exceptional performance in areas including financial strength and stability, growth rate, and brand power. FASTSIGNS also has been recognized for its franchisee satisfaction by being named a World Class Franchise by the Franchise Research Institute for five consecutive years and has been ranked by Franchise Business Review as one of the “Best of the Best” for franchisee satisfaction for the last 10 years. Additionally, FASTSIGNS also was named to Franchise Business Review’s “Innovative Franchises” list in 2017 and a “Best-in-Category” franchise by Franchise Business Review in 2018. Last year, the Canadian Franchise Association (CFA) recognized FASTSIGNS International, Inc. with a special six-year Franchisees’ Choice designation for its strong relationship with Canadian franchisees, as well as extensive franchisee training and support. CARROLLTON, Texas — FASTSIGNS International, Inc., the leading sign and visual graphics franchisor with over 700 locations in nine countries worldwide, held its 2019 FASTSIGNS® International Convention January 16-19 in Orlando, Florida. 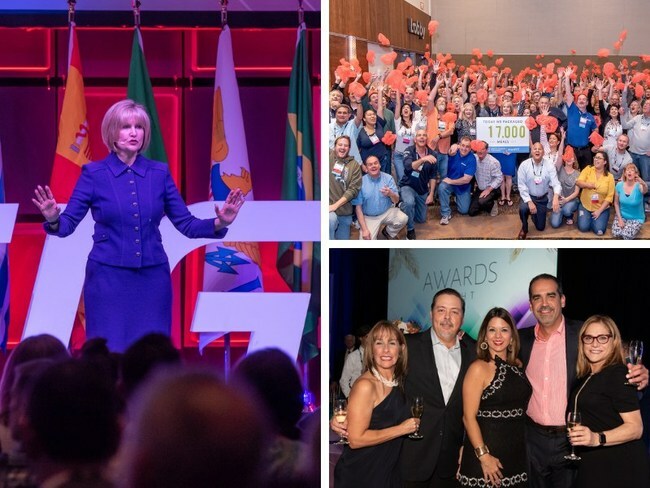 Themed Breakthrough to Peak Performance, the four-day event taught best practices, celebrated franchisee achievements and the continued growth of the franchise network in both sales volume and number of locations. Over 632 people attended, including 150 first-time attendees, which included FASTSIGNS franchisees and their center team members from eight different countries around the world. Attendees had the opportunity to participate in general sessions, educational sessions, peer panels and roundtable discussions. Highlights from the event included hearing renowned keynote speaker Apolo Anton Ohno – Olympic medalist, “Minute to Win It” host, Dancing with the Stars winner and author of Zero Regrets: Be Greater Than Yesterday speak to attendees. Additional speakers included author, speaker, and President and Founder of Sales Gravy, Inc., Jeb Blount who spoke on Sales EQ and The Real Secrets to Leading High Performance Sales Teams. Attendees also learned phone techniques and tactics from Nancy Friedman, The Telephone Doctor, and profit mastery from Steve LeFever, Chairman and Founder of Profit Mastery. The Wide Format & Signage/FASTSIGNS Project of the Year was presented to Susan and Sam Cilone from Louisville, Kentucky for their work with the Muhammad Ali Center. At the annual Saturday “Breakfast with a Purpose,” convention attendees packaged over 17,000 meals for hungry families through the local, Orlando non-profit Feeding Children Everywhere. 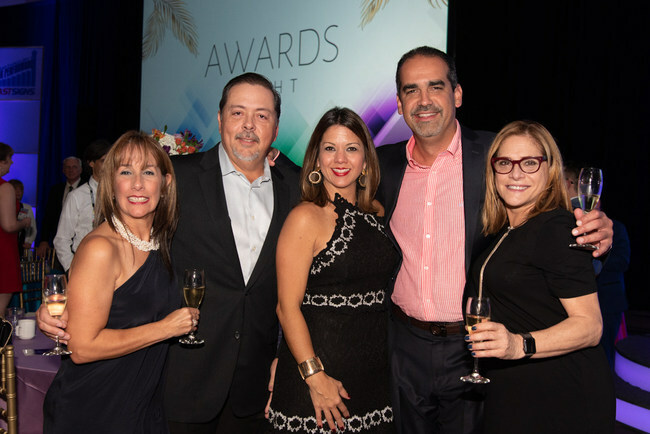 “This event celebrates another successful year for the FASTSIGNS network, and sets the stage for an even more successful 2019,” Monson said. FASTSIGNS International, Inc. is the largest sign and visual communications franchisor in North America, and is the worldwide franchisor of over 700 independently owned and operated FASTSIGNS® centers in nine countries including the U.S., Canada, England, Saudi Arabia, UAE, Grand Cayman, Mexico, Chile and Australia (where centers operate as SIGNWAVE®), and coming soon in Spain and Malta. FASTSIGNS locations provide comprehensive sign and visual graphic solutions to help companies of all sizes and across all industries attract more attention, communicate their message, sell more products, help visitors find their way and extend their branding across all of their customer touch points including architectural signs and interior décor, event graphics, marketing materials and so much more. Learn more about sign and visual graphic solutions or find a location at fastsigns.com. Follow the brand on Twitter @FASTSIGNS, Facebook at facebook.com/FASTSIGNS or on LinkedIn.